OVERSEAS, EU, UK STUDENTS £290: SAVE 65%, Attend on Interior Design 100 days Diploma, 10am-5pm, 3 days individual bespoke tuition, option to continue SAVING on Diploma. Start Tuesday 30 April. Tel 0207 760 7487. 1) Special Bespoke & Subsidised Interior Design ‘Experience’ Course starting Tuesday 30 April 2019, 10 days x 6 hours, 1 day per week £990 (CV required) Tel to reserve. 2) Sophisticated & Cultural 15 days London ‘Interiors’ Experience individual tuition, visit Interior Design Venues, High End Furniture, Lighting Choices. 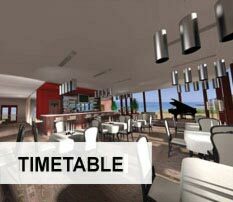 Also choose from timetable, eg Sourcing or AutoCAD with Specialists & much more Tues 30 April £1,575. 1) Drawing, Colour, AutoCAD/Vectorworks, Style ‘Interiors’, start 30 April 2019. 2) How to do Floor Plans/Elevations, Perspective Drawing/Colour/Sourcing W1. 3) FF&E (Furniture, Fixtures & Equipment) Join Students in a Residential Project. 4) Upload freehand sketch/colour to photo real image with computer software. 5) Collect samples from Chelsea Harbour Design Centre for your Mood boards. 6) Includes One-to-One tuition as required for the Student to perfect all the skills. 7) Update & manage your Interior Decoration or Design Portfolio with the Client. Students showing professional work. Since 1999 in London, we have provided our famous ‘Earn and Learn’ programme, where we now agree a work contract with you and a job after you finish, when you enrol on our Certificate – Diploma course. Tel us today to reserve an ‘Earn & Learn’ place starting in the Autumn. Certificate (1) £2,730. Many of our students from nearly 2 decades have their own Interior Design Practices. Visit our Social Media pages to see their success. Meet us to discuss your programme at the V&A in South Kensington. 0207 760 7487 – Course £490 for 10 half days 10am- 1pm or 2pm- 5pm start 30 April. Our students have found amazing projects & also exciting permanent full time employment, far beyond their expectations. Our Students are recommended for their professionalism worldwide. Tuesday 30 April 2019. , enjoy new ‘Lifestyle’. Succeed with your New Career with JJAADA Academy & impress your friends & family for 2019. Join us, to start on the Interior Design ‘Experience’ London Tuesday 30 April 2019, we have 2 places left to be part of a group of 6 on our very special programme. Interior Design ‘Experience’ for Tourist Overseas visitors to central London, join flexible Certificate/Diploma programme for learning and understanding Interior Design in London 2019. Be ahead of all your competitors and have the best of the best portfolios, to take back to your own country. £2,950 (30 flexible days). Please note: If you wish to visit us please telephone 0207 760 7487 for a mutually convenient appointment. Introduce a friend who joins you on the ‘Experience’course and we can give each of you an additional £500 as a contribution to your expenses in London. Are you contemplating a Project? Join us and learn how to give a Brief to an Interior Designer, save a fortune on expensive mistakes on your ‘Interiors’ Investment. We have success working with Clients (who become Bespoke Students) who we assist to understand the whole ‘Interiors’ Project experience saving large amounts of money compared to using Specialist Interior Design Practices. Special Short or Involved Tutoring. Interior Design is the art of enhancing the interior of a space or building, to achieve a superior, more aesthetically pleasing environment for a client. 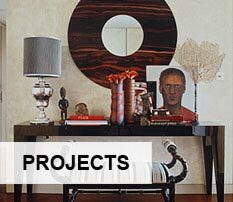 An interior designer is someone who plans, researches, coordinates, manages this type of project. Interior design is a multi-tasking profession including conceptual development, space planning, site inspections, programming, research, communicating to all the contributors, benefactors of a project, construction management and creation of the design. To become an Interior Designer at an Interior Design College in London is to fully understand the brief that a Client (who is the beneficiary of the Interior Design Work) wishes to undertake with a property, to make the space operate aesthetically and functionally for its inhabitants in its moods and practicality. There may be a collection of different spaces working together or separately and collectively working in harmony. The shapes, colours and textures will come from the culmination of the Designer’s creative awareness and their ability to assimilate information from the analysis available for the intended project. Success is achieved when the Client is satisfied that the brief has been implemented and ecstatic if the result is more than the total of the expected parts. 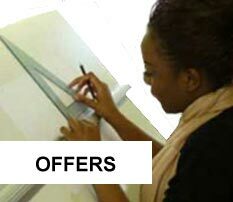 Join us, one of the best Interior Design Schools in London for an Interior Design Certificate or Diploma Course. For ages over 30 (50%) reduction, few flexible places 1,2 days weekly 10am-1pm & or 2pm-5pm, Tues 10 Sept 2019, students at award winning Academy. Certificate normally £2,730 (50%) £1,365, Offer until Friday 30 April 2019.